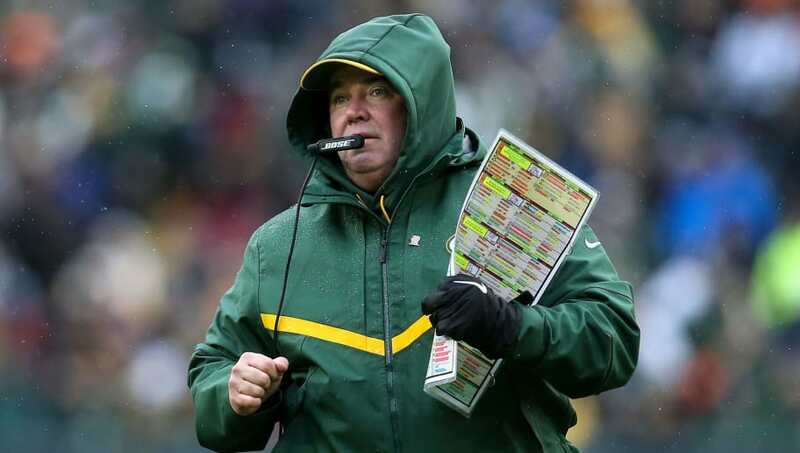 The Green Bay Packers shocked the sporting world on Sunday after they fired longtime head coach Mike McCarthy, but the man wasn't quite done with the team that afternoon. Wednesday saw the veteran coach return to Lambeau Field in order to make one final speech to the Packers, and the move couldn't have been any classier by the organization. After 13 years of coaching Green Bay and getting fired midseason, ​McCarthy at least deserved one more chance to talk to the locker room. After the president, GM, and interim head coach approved, the former head coach talked to his players one last time and seemed to leave a good impression. No matter McCarthy's coaching woes over the past few years, there is no denying his love for the game and team. Sometimes, things just get stale. Although the firing was certainly an emotional one for the Packers, it was a necessary one. Green Bay sits at 4-7-1 and will miss the playoffs for the first time with a healthy Aaron Rodgers since his rookie season. A lot of that is shouldered on the ineffectiveness of the offense, which has been criticized as too old school and vanilla. McCarthy's scheme became too outdated. Now, the Packers will start the search for a new head coach. Naturally, name drops from Lincoln Riley to Josh McDaniels have been hyped in the media for the past week. And with Rodgers on the team? There's probably going to be a line for this gig. Whoever the Packers get, they should hope they have a man as passionate as McCarthy was for over a decade. Just with better coaching skills.